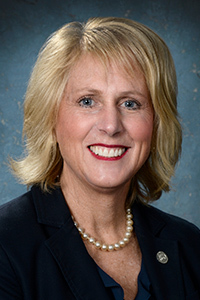 LANSING, Mich. — Sen. Kim LaSata congratulated the “Elite 8” schools that have advanced in the 2019 Southwest Michigan Spirit Tournament. The schools advancing to the round of eight are: Countryside Academy, Michigan Lutheran, Howardsville Christian, Lake Michigan Catholic, Benton Harbor, St. Joseph, Three Rivers, and Coloma. This third round will compete through noon on Friday, April 5, with the entire competition ending at noon on Friday, April 19. LaSata announced last week that AT&T Pioneers will donate $250 to the tournament winner. Visit LaSata’s Facebook page at facebook.com/SenKimLaSata/ to participate and for more information, including tournament rules.